Battle Royale seems to be the money train that everyone is trying to jump on board these days. With the success of games like Fortnite and PlayerUnknown’s Battlegrounds, it’s easy to see why so many developers would try to cash in on the popularity. This past week, Daybreak Game Company began their Closed Beta for H1Z1: Battle Royal on PS4, which will be open to the public this week. The developer, Daybreak Game Company, is actually not new to the Battle Royale concept. In fact, they were one of the first early adopters. PlayerUnknown himself, Brendan Greene, actually came to Daybreak to consult on H1Z1’s version of the mode, and H1Z1: King of the Kill was born. Now, some may remember way back in 2015 when Daybreak was still Sony Online Entertainment. 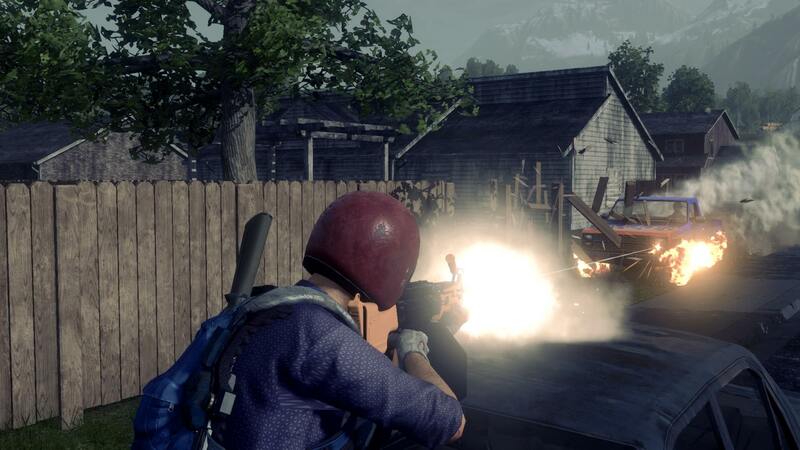 The developer had plans to bring the full survival horror game, H1Z1, to the PS4. DayZ was still a hot commodity at the time and H1Z1 was the new kid in town with a big developer behind it. Well, Sony Online Entertainment dissolved, and we never got that H1Z1 console port. Given the popularity that Fornite has received on the console, it is easy to see why Daybreak would option to bring its Battle Royale title to PS4. I was able to be part of the closed beta this past week, and here are my impressions so far. Some may be wondering if there is a similarity between H1Z1: King of the Kill and H1Z1: Battle Royale. The easy answer is yes. Both games are exactly identical. It’s possible that Daybreak only changed the title to make it more appealing to the masses, but they are basically the same. The only difference I’ve seen so far is that as of now there is no in-game crafting option and currently no option for Auto Royale mode, which is H1Z1’s battle royale mode that heavily revolves around using cars. If you’ve never played H1Z1: King of the Kill, here’s a quick summary and review of how the game works. You drop in with a parachute, loot as many items and weapons as you can and try to make your way to the highlighted safe area without being killed. Once you’re the last one alive, you win! 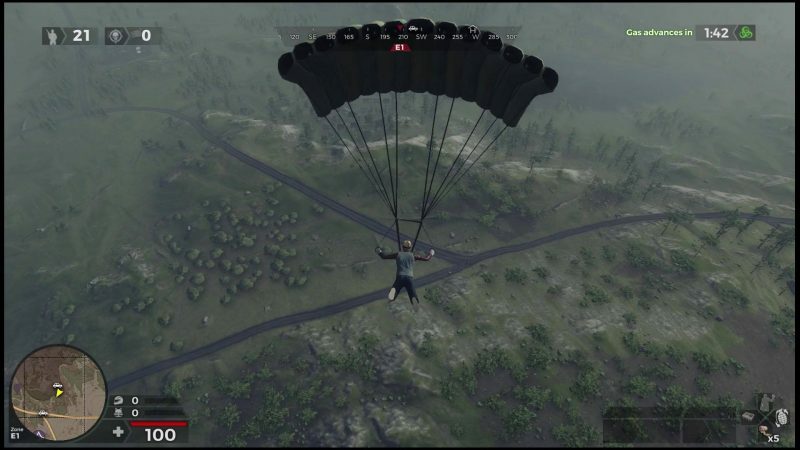 Now, unlike PUBG you don’t get the option of waiting to jump out of the plane. The game just kind of throws you into the wind and you just have to figure out from there. Fans of the PC title will be ecstatic to know that the same horrible parachute physics engine has made its way to the console. When it comes to weapons, H1Z1’s stockpile leans more on the Fortnite side. You can’t really customize your weapon. Some weapons have sights and some don’t. Once you start opening Military Crates and Airdrops, you start to find weapons that do higher damage. One big difference H1Z1 currently has on the other titles is that the matches are way faster. The safe zone starts to shrink after 5 minutes in PUBG and 3 minutes and 20 seconds in Fortnite, but the H1Z1 gas begins after 2 minutes and 15 seconds. The elapsed time after the initial circle is also much quicker than any of the other games. Your best bet will probably be to grab a vehicle early on, which will lead to a point in the match where everyone is driving around in cars in a small radius trying to get the airdrops. This is the same problem the game had on PC. Damage to players in cars is not the same as PUBG. Usually, it can take one well-placed headshot or a few shots to kill a guy in a car in PUBG. In H1Z1, you can find yourself unloading round after round into the vehicle which will probably explode before you kill the driver. It’s easy to see now why Daybreak created Auto Royale mode. As far as the beta itself goes, it did not start off great. A fellow colleague and I had some major lag issues with the servers. There would be points where he would just disappear into the ground or it would look like I flew into the air. Just to give you an idea, this was around last Thursday, and the closed beta had already begun on the Saturday prior. It wasn’t until about Friday that latency issues with the servers appear to be fixed. To be honest, though, it seemed that population in the game servers dropped drastically by then. Since Friday, I can’t remember the last time I played a full match. The game has three separate modes; Solo, Duo and Fives. There’s also Combat Training where you can respawn with no real consequence for death other than having to start all over again. And it’s a nice way to test out weapons. The Closed Beta was set up so each mode was on available on certain days, so I can only assume that people just stopped playing the game. The beta will open to the public this week so I am interested to see how the servers deal with the demand or even if there will be a demand for the game. To be honest, there isn’t much here that you already don’t get from Fortnite and PUBG. Sure the game functions currently better than PUBG does on the Xbox, but that doesn’t mean there already isn’t an established working and highly popular Battle Royale title on the PS4. H1Z1: Battle Royale’s success really hinders on if players will be willing to make the jump from Fortnite. I’m sure there will be a few that will try it out just to check it out because it’s free to play, but I don’t think there’s enough to pull people in. 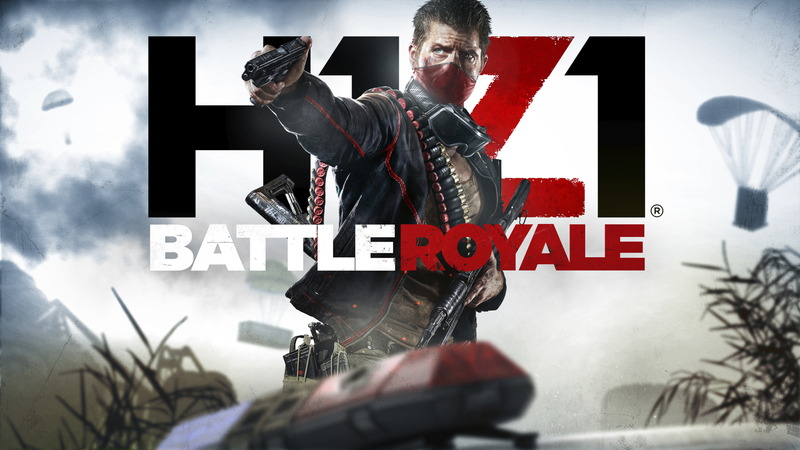 The post H1Z1 Battle Royale Closed Beta PS4 Impressions appeared first on Nerd Reactor.